Two weeks ago I happened to catch a fascinating documentary on BBC4 about Abraham Lincoln. 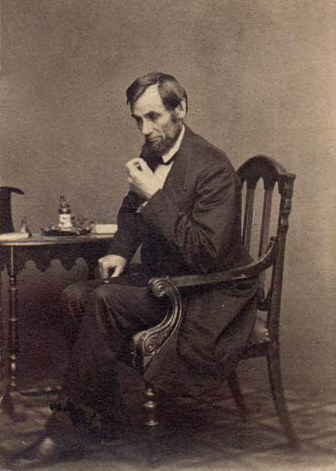 The show was called ‘Abraham Lincoln: Saint or Sinner’, and it set out to interrogate the politics of memory in relation to one of the most popular, if mythologized, figures in American history. Having grown up with a clearly romanticized image of ‘Honest Abe’ as a national hero who freed the slaves and is accordingly memorialized in countless ways today, not least in the Lincoln Memorial in Washington, DC, and on the face of the five dollar bill, I appreciated the clear-headed objectivity of the historiographical process evident in the documentary. I certainly came away from the hour-long programme with a fuller, more complete and more objective sense of Lincoln as a politician, one that will encourage me, in future, to view Lincoln’s legacy a little more critically than I have hitherto done.